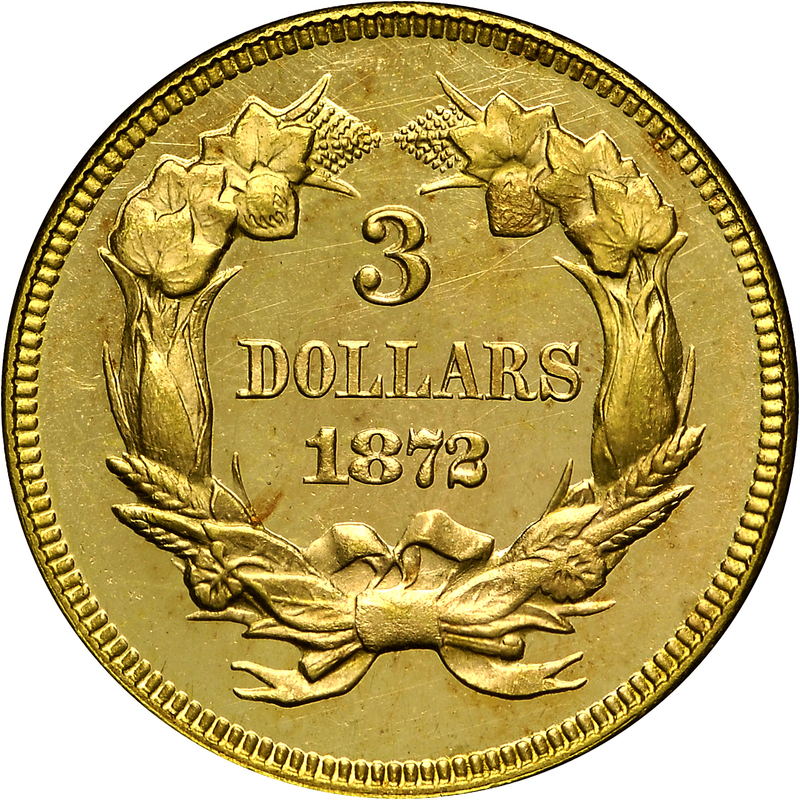 This is a very rare date among three-dollar gold coins, with a circulation strike mintage of just 2,000 coins in addition to 30 Proofs. 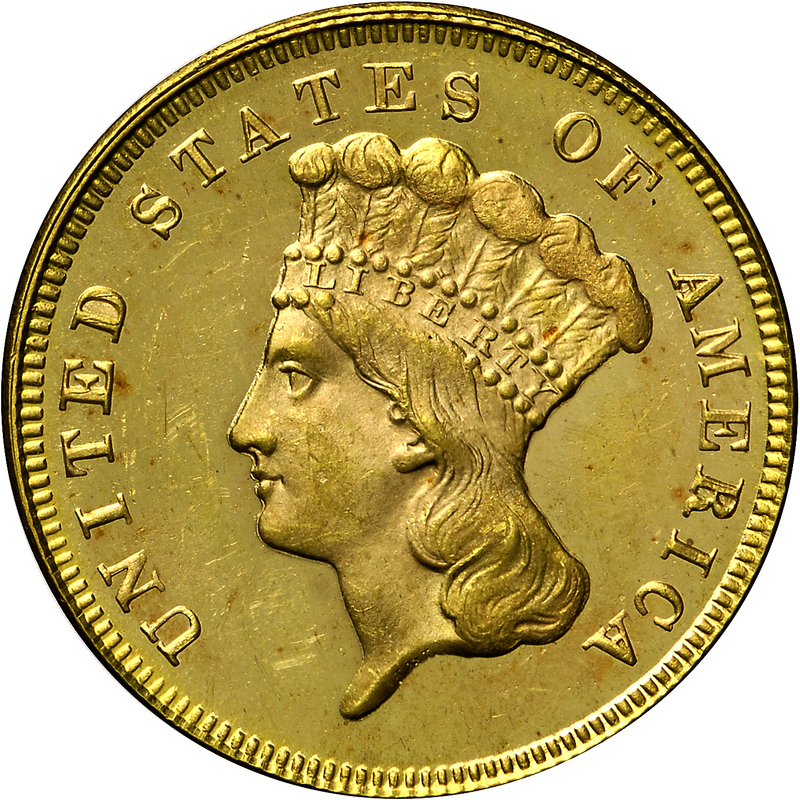 Approximately 12 Proofs remain in numismatic circulation today, with most of lower quality than this example. 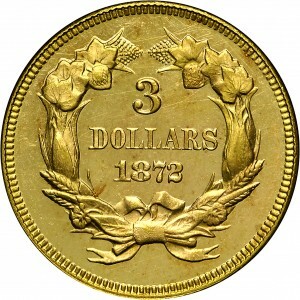 All Proofs were struck February 3. 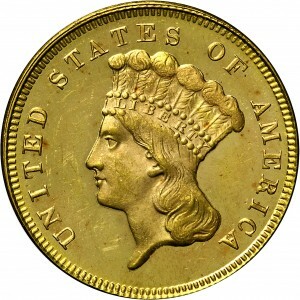 Walter Breen described two separate die varieties, both minted after circulation strikes.